Debbie and I were strolling through downtown Crabapple on Saturday during the Crabapple Fall Festival. I happened to see this sign and it caught my fancy. I love October with its temperatures and colors; its football and its festival. Taste and see is a powerful message for all who enjoy October's activities. 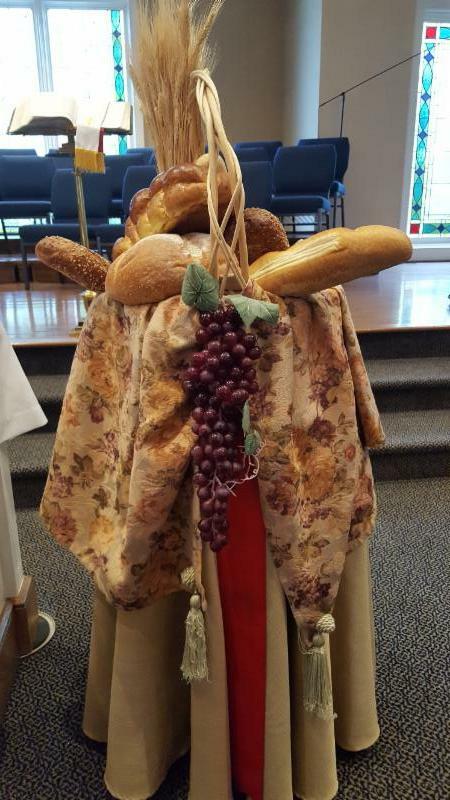 World communion was celebrated yesterday and it was certainly a taste and see marvel of the worldwide Body of Christ. 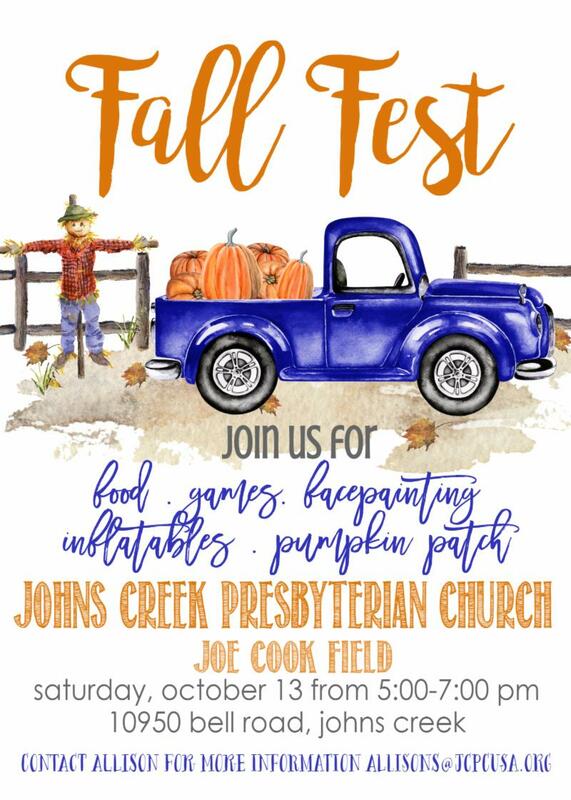 If you would like to taste and see the Lord is good this coming Saturday is both the opening of the pumpkin patch as well as the JCPC Fall Fest. 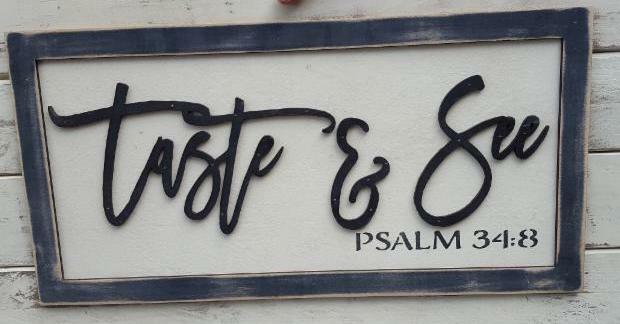 May your October calendar be full of taste and see moments that feed your soul and serve as reminders that the Lord is good...the Lord is good indeed! God of creation, we give you thanks for the wonders of October. Keep us mindful to continue to taste and see your goodness which surrounds us and feed our souls in life sustaining ways. Amen.